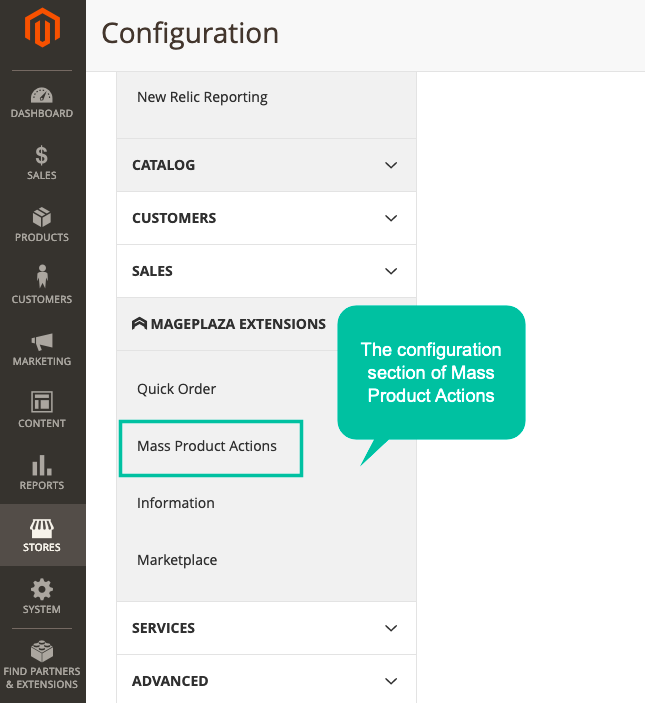 Magento 2 Mass Product Actions helps store admins updates prices, attributes and many more actions for multiple products at once. Various mass actions are added to facilitate admin tasks significantly such as quick attributes update, updating prices, updating category, updating images/websites, and updating related/ cross-sells/ up-sells of many products, which eliminates repeated tasks effectively. When online stores have a large number of products, they find it really hard and time-costing to update each product one by one. Besides, there are many elements related to a product so it is really struggling to make sure all updates proper. 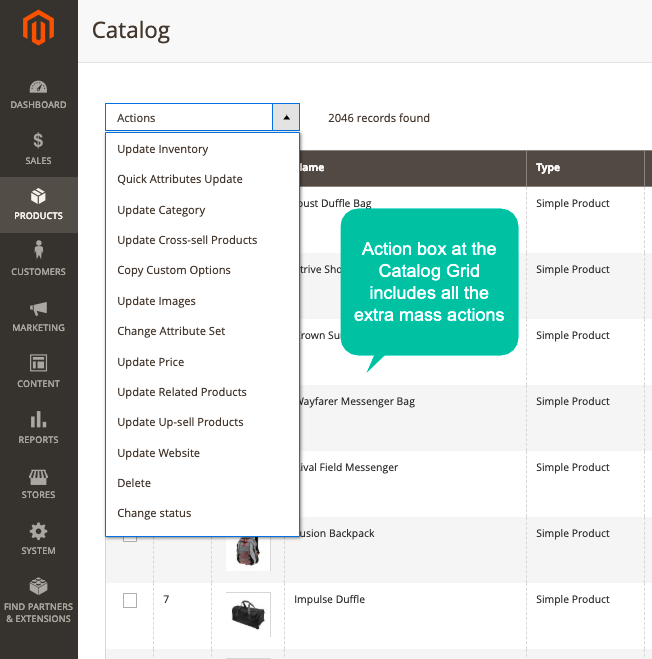 In Magento 2 Default, there is already mass-action box at the catalog grid. However, the available mass actions are limited at delete, change status, update attributes, assign/ unassign/ transfer inventory to the source. Of course, store owners demand much more such as update price, images, categories, cross-sell and up-sell, and so on. The repeated operation actions to update each product makes store owners impatient and exhausted. Moreover, when they deal with a large amount of work, it is likely to make mistakes. Because store owners have to spend too much time on update operations of a large number of products, they meet the trouble lacking time to invest in other management and marketing activities. As a result, this has a bad effect on the store’s performance and sales efficiency. There is no repeated actions when store admins would like to update the same elements of many products (such as price, categories, so on). All the wished products can be updated synchronously in one time. With Magento 2 Mass Product Actions, the admins of online stores can make updates for products more conveniently but much more effectively. Because one update can be processed with multiple products synchronously, the accuracy of the update results is much better than with separate actions as in Magento Default. The workload of store owners has been reduced significantly thanks to the decrease in the update actions. 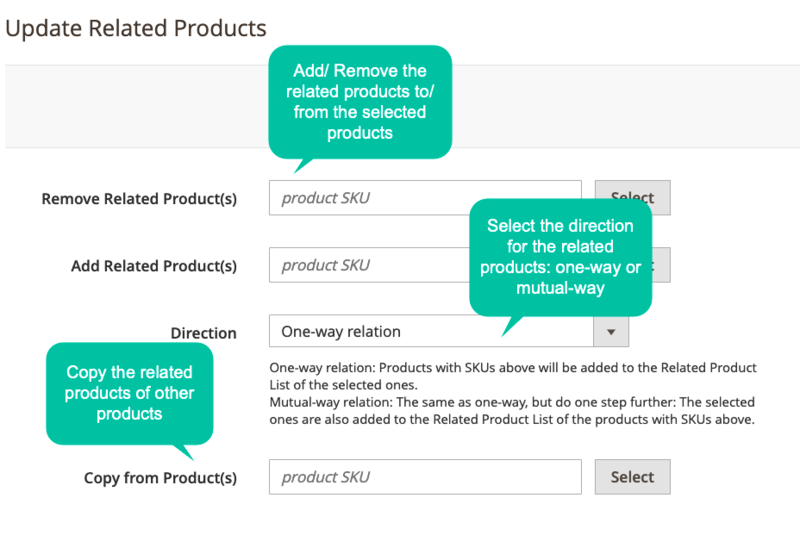 With the update in one product element, admins can do it instantly with mass products instead of repeating one by one. As a result, the working performance of store admins has been enhanced, which improves the store’ s performance accordingly. Mageplaza Mass Product Actions help store owners process cross-sell and up-sell campaigns flexibly and quickly. The process to build up the relationships among multiple products has been optimized with a few clicks. Therefore, store owners can do up-selling or cross-selling easier than ever! Mass Product Actions for Magento 2, store admins can make the change in specifications of multiple products in a go without being redirected thanks to pop-up. For any modification in prices, attributes, images and many more, the admin can take actions simply and conveniently via a sudden small window appearing right at the product grids. After each update action, admins close the pop-up with one click and keep staying at the grid without any redirection. 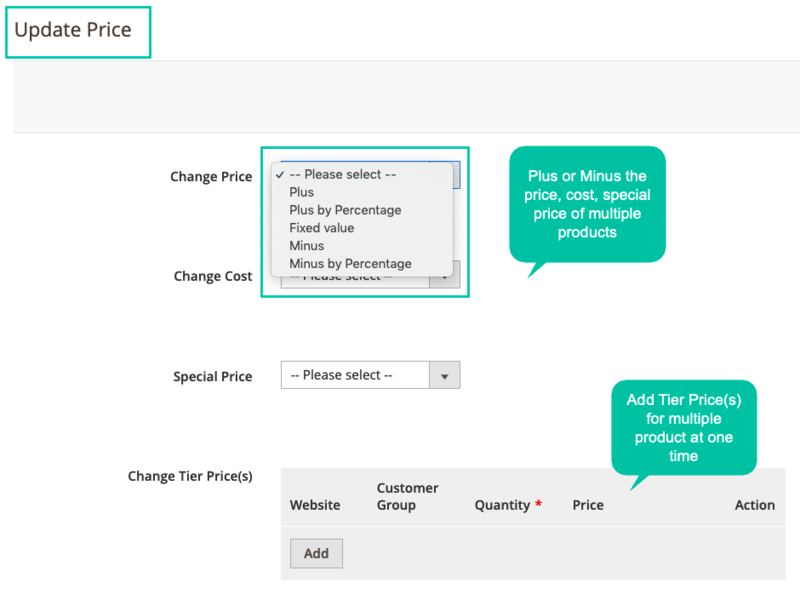 With Magento 2 Mass Product Actions, the store owners can update prices for a massive number of products at once. The updated price can be changed based on the current product price or the business cost. Change tier price for mass items. This feature is very significant to the online stores with a huge number of products and it wastes too much time modifying the price of each item one by one. A pop-up including a ready-to-select attributes list allows admins update specific attributes for several products at the same time. Besides, Mageplaza Mass Product Actions allows modifying images for multiple items easily. Via Update Image pop-up, store admins can easily select actions to make the modification for various products at once. 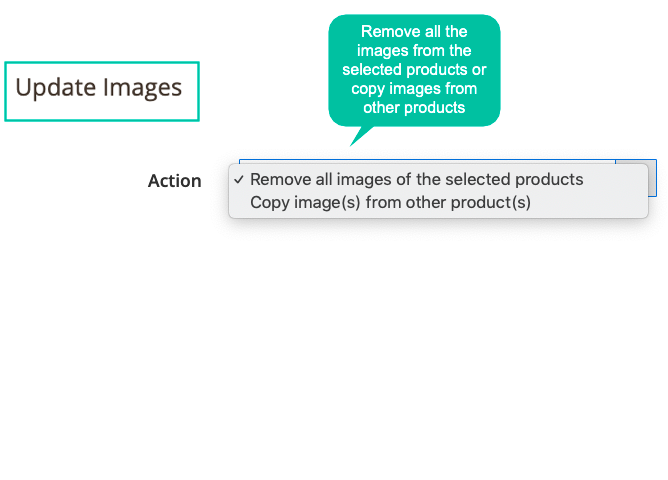 Admins can remove the current images of selected ones in only one click or make change by copying images from other products. 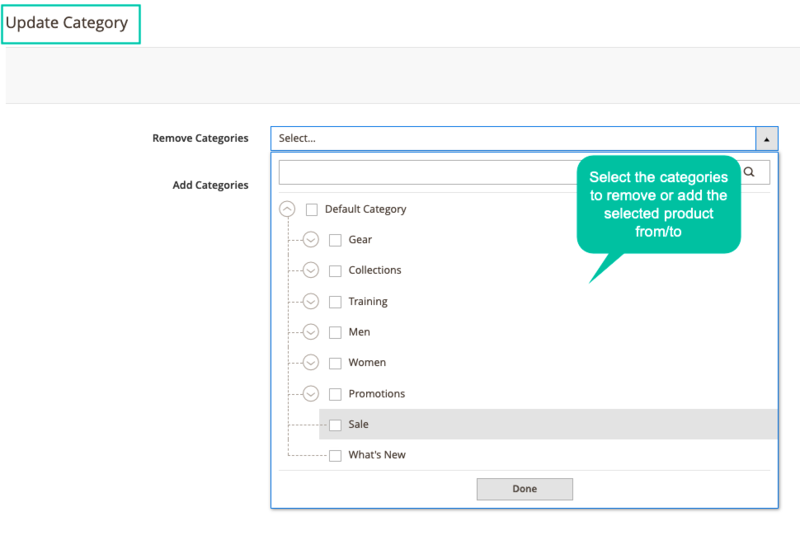 In addition, store owners can assign the selected products to other categories via selecting action at the category drop-down list. Product updating is more convenient than ever! One - way direction: The items A, B, C will have the up- sells as items 1, 2, 3. Two - way direction: There is the vice-versa relation between products. For example, T-shirt A, B are the cross-sells of Shorts C, D, and Shorts C, D are also the cross-sells of T-shirt A, B. 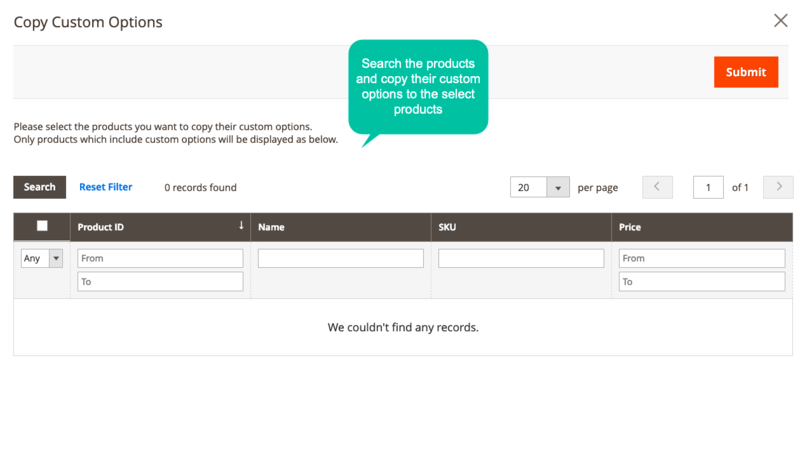 The cross links between multiple products are set up via pop-up and a few clicks quickly. Besides, admins also can remove or copy the related partners for mass items easily. Allow copying custom options from other products. Update the attribute set for multiple products in bulk. 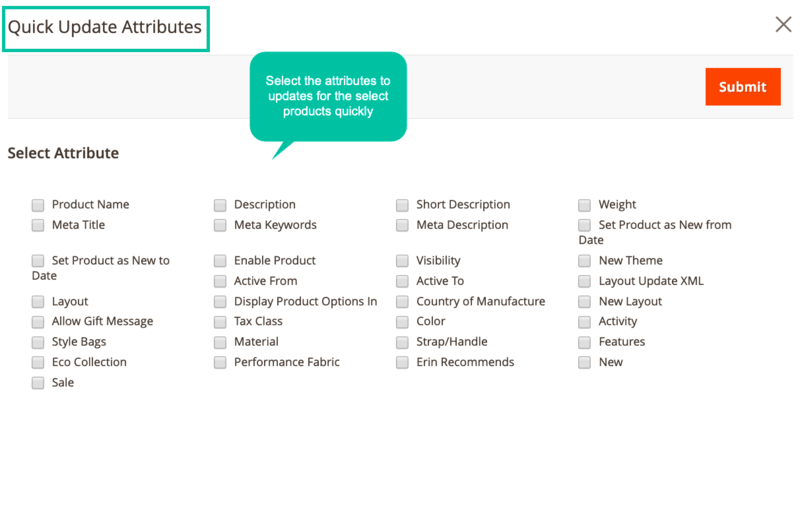 Copy, Replace or Remove Categories of many products at once. 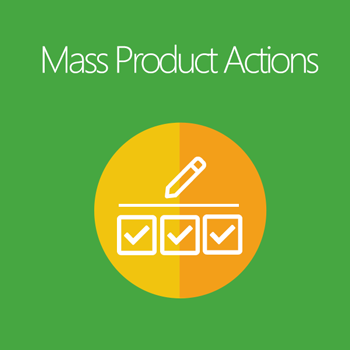 Mass action to update product attributes With the support of the Mass Product Actions module, store admins are able to update attributes of multiple items easily at once. 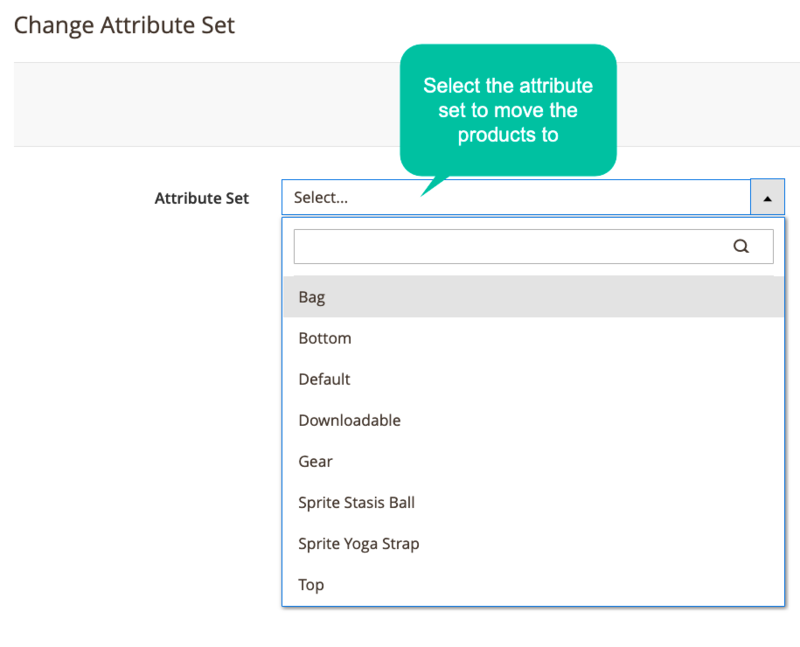 Mass action to change attribute set Mass Product Actions module for Magento 2 allows admins to update the attribute set for various items in bulk. Mass action to update category It is easy for store admins to copy, replace or remove categories of bulk products at the glance. 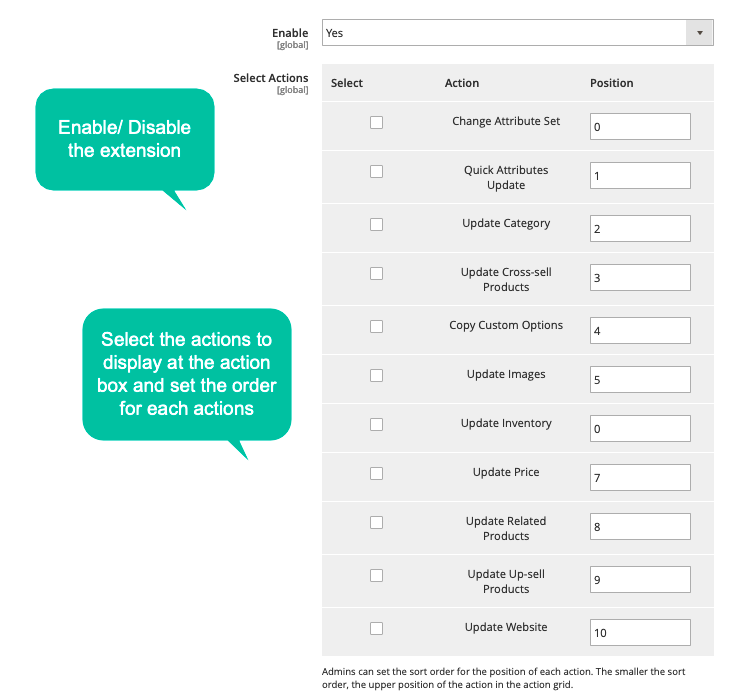 Mass action to update website Store admins are allowed to add different products to various store views just by some clicks. Mass action to update price Processing price updates with a massive quantity of items in one go are possible with the help of Mass Product Action extension. 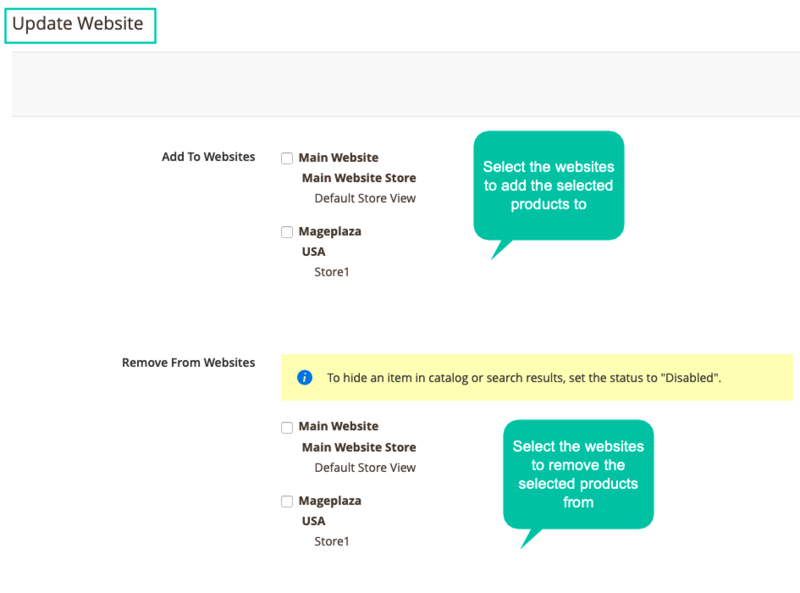 Mass action to update related products Mageplaza Mass Product Actions module assists store admins to take extra mass action as changing the related products quickly. Mass action to update up-sell products By simply picking up products and then choosing other items to create up-sell products links, store owners can update up-sell products with ease. 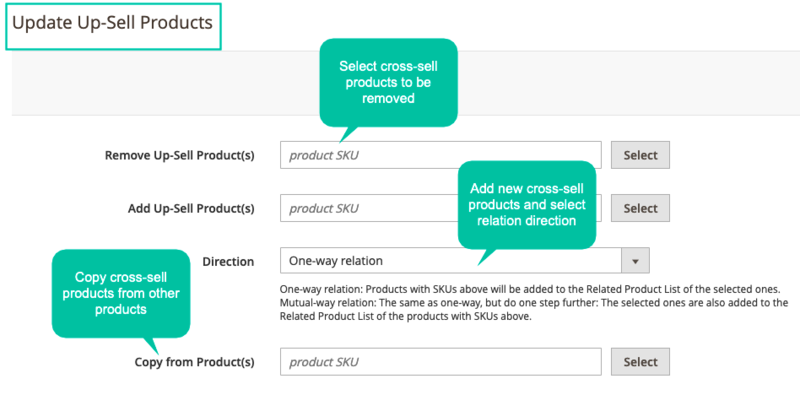 Mass action to update cross-sell products With the help of Mass Product Action Magento2, the cross-sell products links between multiple items can be set up quickly. 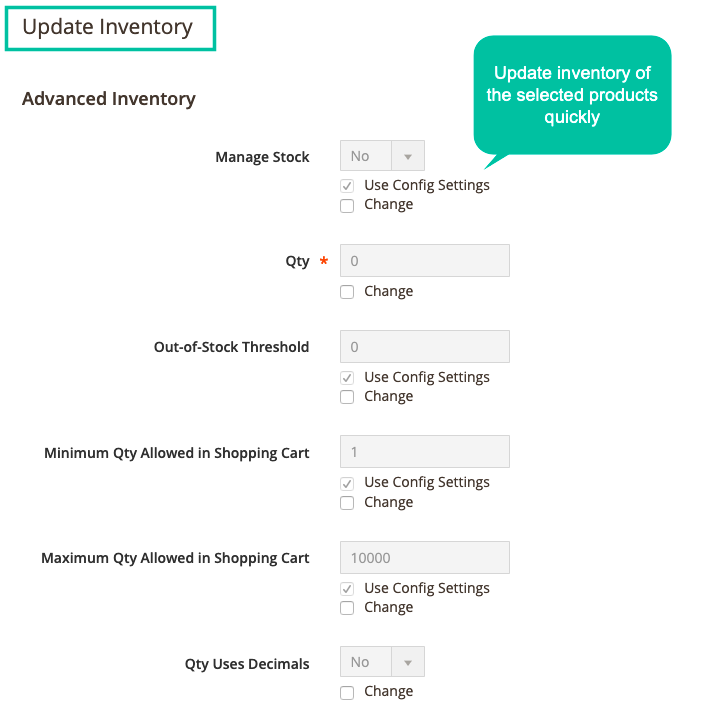 Mass action to update inventory Store admins can easily update the inventory for multiple items in one time from the admin backend. Mass action to copy custom options Mageplaza Mass Products Action extension allow store owners to copy custom options from the existing ones to the selected products. 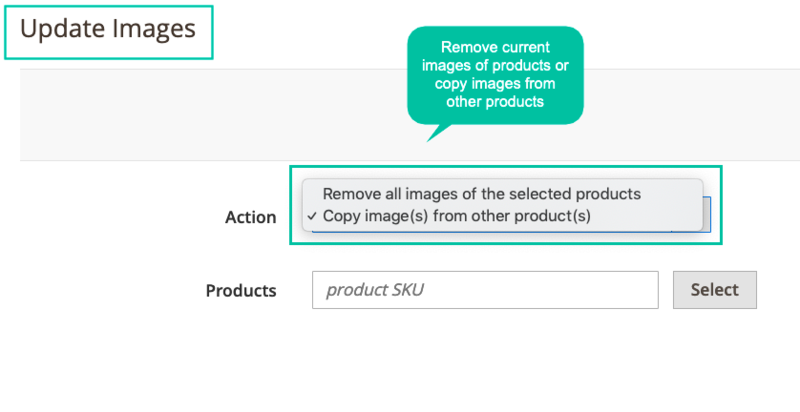 Mass action to update images From the product grid, store admins can easily modify images for multiple products. They can remove the current images of selected items via one click or copy images from other items. Enable/ Disable the extension From the admin backend, store admins can select Yes to allow the module. To disallow this module, they can easily click No. Select the mass action to show at the catalog grid There are many available mass actions for store owners to chose. The selected mass action will be displayed in the catalog grid. filter_drama What are the extra mass actions added to Action Box at Catalog Section? 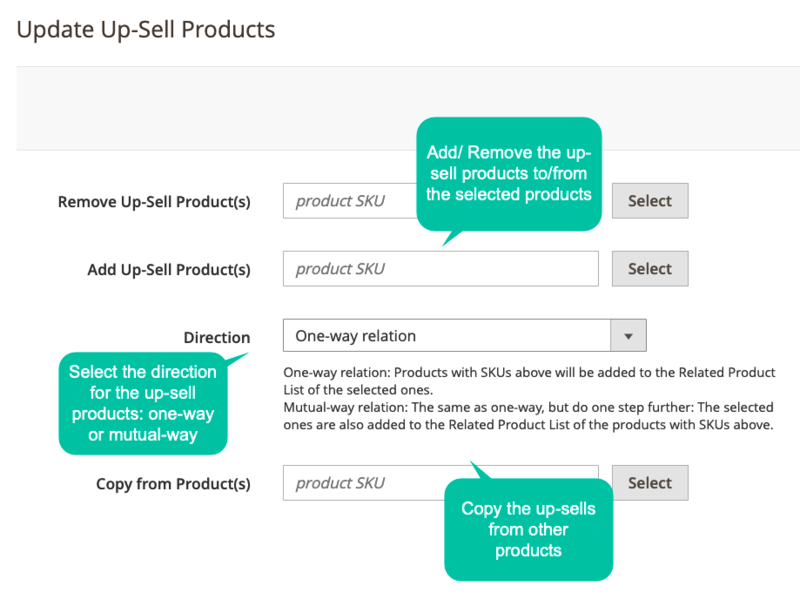 There are 11 extra actions including Change Attribute Set, Quick Attributes Update, Update Category, Update Cross-sell Products, Update Up-sell Products, Update Related Products, Copy Custom Options, Update Images, Update Inventory, Bulk Price Update, Update Website. filter_drama Are pop-ups supported when I take a mass action? Yes, pop-ups are well supported when you make any updates via the mass-action box. You will not be redirected to any other link. filter_drama How many actions are included in Update Prices? 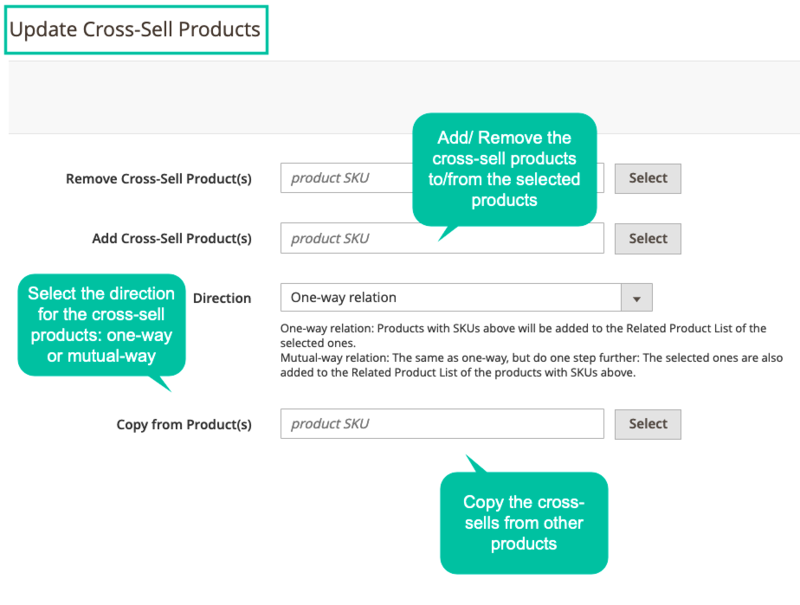 filter_drama Can I update the cross-sells / up-sells/ related products for products in mutual ways? Yes, you can choose the relation is one-way or mutual way.